Developing fruits on a Cavendish banana, the remains of the female flowers still attached. Many banana cultivars are sterile and don’t require pollination. Their fruits contain very small and sterile seeds. Our gardens connect us to the world through the plants that we grow. Our choices have reverberations through the knowledge we gain, the demand we create through our purchases and even our decisions to grow and thus protect plants that are critically threatened or extinct in the wild. Similarly, what we choose to eat impacts the wider earth shaping the landscape locally and across the planet. Sometimes our choices create demand for exotic foods, other choices, demand for common foods…out of season, that must come from the opposite hemisphere. All of these choices together can bring prosperity to others thousands of miles away and suffering to others while simultaneously creating a demand for more land and resources there to produce the bananas, grapes, beef, etc. we want, while putting wild species under threat, reducing the genetic diversity these same lands once effectively supported. Other times, the consequences can flow more directly back at us, when the crisis we have added to there, comes back at us in the form of crop failures, price increases and the absence of these foods from our grocery stores, as does the increasing spread of disease currently threatening much of the world’s banana production. 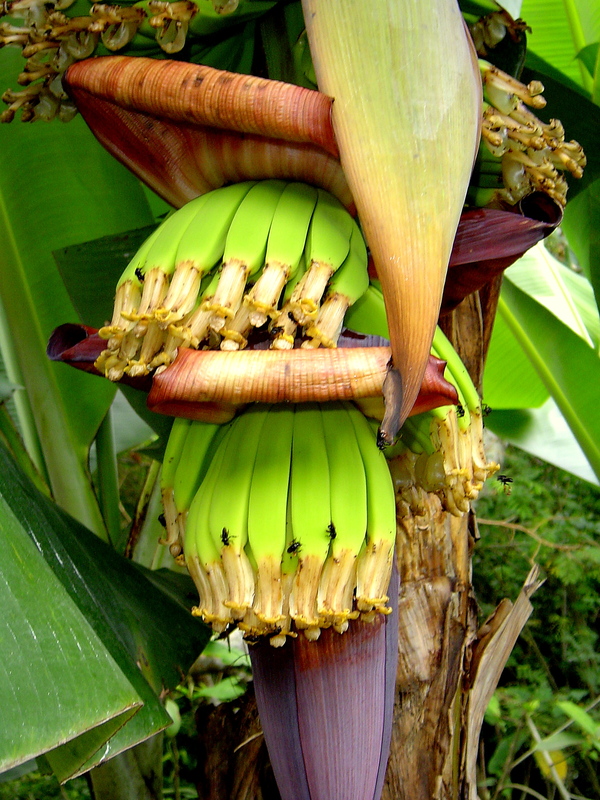 This entry was posted in Botany, Evolution, Growth and Cell Division, Propagation and tagged Banana Culture, Bananas, Cavendish Bananas, Fusarium wilt TR4, Genetic Diversity and Food Security, Hybridization and genetic manipulation of bananas, Panama Disease on November 28, 2018 by gardenriots.